I mentioned in my last post that I must have been dreaming on the way over to Madrid. Or maybe it was just all these thoughts running through my head before I actually drifted off to some semblance of jet-engine-drone-induced slumber. 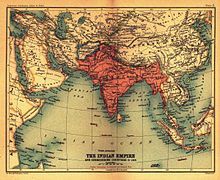 The English East India Company was an English and later (from 1707) British joint-stock company formed for pursuing trade with the East Indies but which ended up trading mainly with the Indian subcontinent. The Company was granted a Royal Charter in 1600, making it the oldest among several similarly formed European East India Companies. Shares of the company were owned by wealthy merchants and aristocrats. The government owned no shares and had only indirect control. The Company operated its own large army with which it controlled major portions of India. One of those thoughts reminded me of the guy in the YouTube video who reminded us all what an amazing time we live in. That we can climb into what essentially constitutes a rather large beer can and zoom a few thousand miles away in only a matter of hours. In a journey that, once upon a time, would have taken a Benjamin Franklin or a Thomas Jefferson weeks by sea, and likely would have been filled with seasickness, scurvy, or worse, when all they wanted to do was get there. That was one of my thoughts: Then I fell asleep somewhere near Dallas and woke up somewhere over lovely Spain. But I also dreamed of commerce. Of its history, and its evolution, and what an amazing time we live in terms of how we conduct business. I went and looked up “commerce” on Wikipedia, curious as to what the “crowd” out there had to say. That, too, is another relatively new concept, to be able to “crowdsource” information from people around the globe. Their definition goes something like this: Commerce is the whole system of an economy that constitutes an environment for business. The system includes legal, economic, political, social, cultural, and technological systems that are in operation in any country. Thus, commerce is a system or an environment that affects the business prospects of an economy or a nation-state. First, there were barter economies, where trading was the principal “facility” in which peoples bartered for goods and services from one another. But these days, as the Wikipedia entry observes, commere also includes a complex system of companies that try to maximize their profits by offering products and services to the market (consisting of both individuals and other companies) at the lowest production cost. So what did some of those early commerce scenarios look like? Imagine, for example, how the domestication of camels allowed Arabian nomads to control long distance trade in spices and silk from the Far East. Or the “Silk Road,” which was established after the diplomatic travels of the Han Dynasty Chinese envoy Zhang Qian to Central Asia, which allowed Chinese goods to make their way to India, Persia, the Roman Empire — and vice versa. The English East India Company was an English and, later (from 1707), British joint-stock company formed for pursuing trade with the East Indies, but which ended up trading mainly with the Indian subcontinent. Shares of the company were owned by wealthy merchants and aristocrats. The government owned no shares and had only indirect control. The Company operated its own large army with which it controlled major portions of India. In more recent times, we saw the introduction of 23 countries agreeing to the General Agreement on Tariffs and Trade, in 1947, which attempted to rationalize trade among nations. Today’s smart consumers expect to engage with companies when and how they want, through physical, digital, and mobile means, and they want a consistent experience across all channels. Because they are empowered and connected, they can compare notes, quickly, and they can champion a brand or sully a reputation with the click of a mouse or the stroke of their tablet computer. Today, circa 2012, we find ourselves at another inflection point in the history of commerce, one which begins and ends with the customer. Today’s commerce environment features a customer who is dictating a new set of terms in the dynamic between buyers and sellers, and these are very smart consumers, ones empowered by technology, transparency, and an abundance of information. Just simply walk through your closest local retailer or your nearest airport, and you’ll see signs of this new and smarter consumer. Via smartphones and other mobile devices, they are connected real-time to an absurd amount of information that empowers them as buyers, and, in turn, requires an accelerated sophistication on the part of sellers, no matter the product or service. These consumers expect to engage with companies when and how they want, through physical, digital, and mobile means, and they want a consistent experience across all channels. Because they are empowered and connected, they can compare notes, quickly, and they can champion a brand or sully a reputation with the click of a mouse or the stroke of their tablet computer. This ultimately means, of course, that there is no longer such a thing as “business as usual.” Empowered and connected consumers are deeply linked — to their friends, colleagues, and the world at large — and they evaluate and compare the quality of their experiences with those of others. And they are the ones who can reward, or penalize, the businesses that do, or do not, give them what they want. 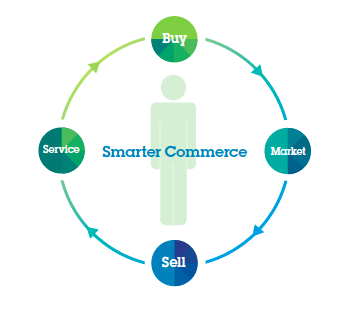 This is new trading crossroads of the 21st Century, and it is those companies who are interested and compelled to act to enable and encourage this new consumer who are in attendance here at the IBM Smarter Commerce Global Summit here in Madrid this week. To thrive in this new age of the customer, they recognize they must understand the motivations of each individual purchaser. They must predict, and not merely react to, customers’ needs and preferences. They must understand not only what they buy and where, but also why and how they choose to buy it. That’s what this new world demands. That we need not only a better system of doing business. But, also, a “smarter commerce” environment, one that puts the customer at the center of all operations, and that helps companies better buy, market, sell and service their offerings accordingly.